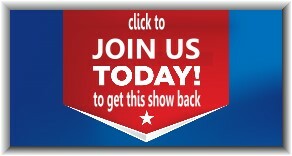 Lone Star TV Show Cancelled – JOIN US getting it back | I want my show back !! You spoke we listened and added this show to our list. Bring Lone Star back !!! This was one of the best shows of the Fall Season. It was interesting, entertaining, had lots of drama, great actors, wonderful plot twists and beat the heck out of most of the other shows on TV. Please bring it back! We loved it!! !